Dwight Karnehm, 41, of Greenville, entered a guilty plea to one count of aggravated trafficking in drugs, a third-degree felony. David L. Hendrix, 55, of Greenville, entered a guilty plea to one count of tampering with evidence, a third-degree felony. GREENVILLE — A visiting judge from Champaign County heard cases involving aggravated trafficking in drugs and tampering with evidence on Wednesday in Darke County Common Pleas Court. Retired judge Roger Wilson stepped in for a vacationing Judge Jonathan Hein during Wednesday’s docket. 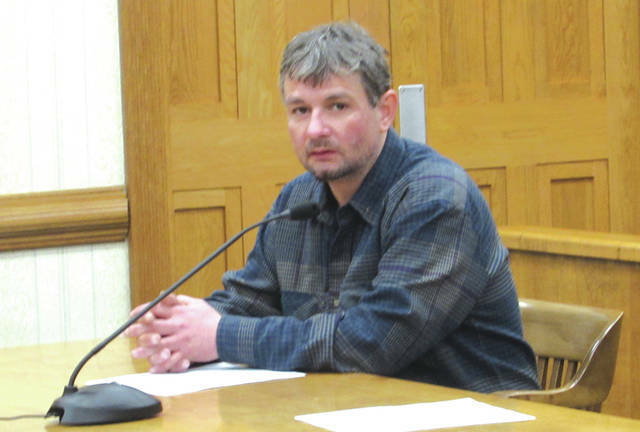 Dwight Karnehm, 41, of Greenville, entered a guilty plea to one count of aggravated trafficking in drugs (methamphetamine), a third-degree felony carrying penalties of up to 36 months incarceration and a potential $10,000 fine. Judge Wilson also informed Karnehm that a guilty plea could result in a driver’s license suspension of up to five years. Karnehm previously served a sentence in state prison and was released in 2006. He currently is on probation on a misdemeanor charge in Darke County. Judge Wilson informed the defendant that he was eligible to receive prison time on the current charge as a result of its severity and his previous prison term. Darke County Prosecutor R. Kelly Ormsby informed the court that Karnehm also is under investigation for breaking and entering, stealing checks and theft of a motor vehicle, though charges have yet to be filed in those cases. Judge Wilson found the defendant guilty and ordered a pre-sentencing investigation to be conducted. Karnehm was released on bond; his next court appearance is a sentencing hearing, to be held May 13. David L. Hendrix, 55, also of Greenville, entered a guilty plea to one count of tampering with evidence, a third-degree felony carrying penalties of up to 36 months incarceration and a potential $10,000 fine. Additional counts of aggravated possession of meth and possession of heroin were dismissed in accordance with plea negotiations between Hendrix and the Darke County Prosecutor’s Office. Judge Wilson asked Assistant Prosecutor Deborah Quigley if she was prepared to make a sentencing recommendation in the case, but Quigley deferred, requesting that a pre-sentencing investigation be ordered. 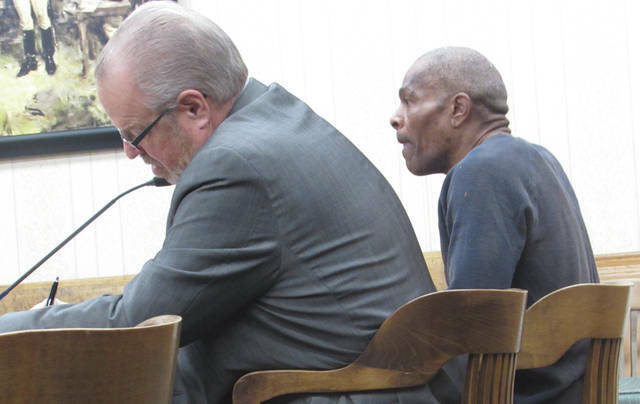 The judge asked if that was common practice in Darke County, and then asked the defendant if he was still comfortable pleading guilty “even though you don’t know what the state will recommend be done with your case.” Hendrix replied that he was. Wilson then informed Hendrix of the terms of any probation or of post-release control should he be given a prison sentence. Wilson found Hendrix guilty and ordered a pre-sentencing investigation. Hendrix was released on bond; his next court appearance is a sentencing hearing, to be held May 13. This entry was tagged Aggravated trafficking in drugs, Champaign County, Common Pleas Court, court, Darke County Common Pleas Court, Darke County Prosecutor’s Office, drugs, felony, Greenville, judge, Meth, Methamphetamine, Tampering with evidence. Bookmark the permalink.